Take part in our exciting competition. We want to read your personal career success story or the story of someone who has inspired you. Tell us about something you have achieved that made you proud and happy. You can read such story told by Workiton.com. Share your treasured experience or favorite tale of success. Inspire others the way you were inspired and earn a gift for yourself or someone you care about. Your stories will be published in our blog to be shared with the world. You may invite your friends to support you by liking or sharing your story. Three cash rewards will be awarded, one in the amount of 25 euro, one in the amount of 15 euro and one in the amount of 10 euro. The three winners will be picked randomly from the ten stories that were liked and shared the most. 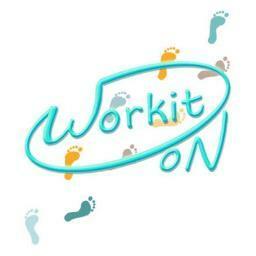 You can submit your entries by December 20th 2014, via e-mail to games@workiton.com with your first name, family name and contact information. a) From December 5, 2014, to December 20, 2014, Workiton.com is organizing a free fan competition called “Inspire and get inspired – Share your Success Story”. Stories submitted during that period will be judged by the fan community. From the top 10 stories that have collected most likes and shares, Workiton.com will select 3 winners. b) The best story wins prize of 25 euro. Prizes for second and third position are respectively 15 euro and 10 euro. a) Any adult anywhere in the world World is entitled to take part in the competition. Minors are excluded from participating. If minors nonetheless wish to take part, they must explicitly confirm that they have permission from their parents or guardians. b) The personal data that is requested will be used solely for the purpose of running the competition. No personal data will be passed on to third parties. All data will only be kept for the purposes and duration of the competition, unless there is a legal requirement for it to be retained. c) The closing date for entries is December 20, 2014. All designs will be entered which have been saved by 23:00 hrs (Central European Time) on the closing date, at the latest, will participate be part of the competition. Stories submitted after that time will not be reviewed. The participant is responsible for the accuracy of the contact details that are provided. d) A story will be published on Workiton.com as soon as it has been approved by Workiton.com team. Participants will be notified when their story has been published. e) A story may be rejected if, in Workiton.com’s judgment, they could cause offence or are deemed unsuitable for this competition, for example because they contain violent, criminal, religious, political, racist, sexist or exploitative material. There is no right of appeal. Workiton.com can reject designs without giving any reason. f) By entering the competition, the participant agrees that the story may be published on Workiton.com and in the profiles of Workiton.com in Facebook, Twitter, Gplus, Linkedin, Stumbleupon, together with the names provided with the entry. a) By creating the design and agreeing to the terms and conditions for participation by creating a user profile, the user transfers all rights to the stories, in particular unlimited right of use, to Workiton.com. b) The participant confirms that he/she is the author of the story. c) The participant also confirms that the story does not breach any applicable law and will not give rise to any other reason for objection. In particular, the participant confirms that the story does not include any pornographic, racist or otherwise offensive or illegal material and does not infringe any copyright or trademark rights. a) The 3 winners will be sellcted among the 10 stories that have collected most likes and shares. b) The winners will be notified via email on December 22, 2014.
c) The prize for first place is 25 euro, for second prize is 15 euro and for third place is 10 euro. d) If the winner cannot be informed in time that he/she has won, using the contact details provided, the prize will be forfeited. a) Workiton.com reserves the right to eliminate exclude participants from the competition on the grounds of false data, manipulation or the use of any unauthorized resources. b) These terms and conditions for participation may be amended by Workiton.com at any time without prior notice. As I am writing this I am sitting on my very own chair in my very own office with a window overlooking one of the Europe’s largest shopping centres, based in central(ish) London. People in the yard underneath my office are making sure that all the customer orders are being fulfilled to the best standards. It is Saturday and normally I would not be here but this time of the year there is a lot of activity in the retail world. Have I achieved success in life? Well, from the career point of view I guess it could have been worse. I was born in a small town that I can bet nobody reading this has heard about: Kutno, central Poland. This detail is in no way significant in this context, but why I have decided to mention it is that during the first thirteen (or so) years of my life I never once thought that I would ever live outside of my country. I was an average student, not great but not bad either with no clear plans for the future. Well, that is not true, in the early childhood I did dream of being a combine harvester operator. By the time I was nine Poland changed from communism to capitalism and suddenly the rat race started. My parents could not keep up and thus our family became rather poor. When I was thirteen I realised that I do have a talent, or maybe an interest: foreign languages, especially English. English was not taught at my primary school and my parents could not afford private lessons. I did what I could, though. I always say that if you really want to learn a foreign language you can do this by studying chocolate bar wrappers. You check the words in the dictionary, you try to make out grammar rules behind the sentences used to describe the product and so on. I was pretty good at this and when I started my secondary school at the age of 14 I was the best in my class despite the fact that I was the only one that had never learnt English in an institutionalised way. Yes, luckily for me and to my delight my secondary school had the English language as part of its curriculum. From that point onwards the idea of living in an English-speaking country started forming in my head. At that moment, though, my fascination with rap music, American Basketball Association and Grapes of Wrath made USA my dream destination. That was only going to change several years later, when my childish fascination with America practically disappeared and instead I started being attracted by our European sophistication. It was natural then that I wanted to live in Great Britain, where I moved in 2006 after I graduated from two universities while teaching English to support myself, married the love of my life and passed an LGV license test. Why an LGV license? Because I knew that in the UK my university qualifications would not impress anybody and I would have to start my career from the bottom. As it happened, after I passed my test I have never even sat in a lorry cab as instead I started delivering groceries for a well-known UK company. They use 3.5 tonne vans so a standard car licence would have been enough. Finding the job was easy as the recruitment took place in Warsaw, Poland. There was no talk of any recession in the UK at that time and companies had to reach out to find employees. I was employed by an agency and when I arrived in a small town in Surrey in November 2006 I had no idea where I was. Different role-playing video games spring to mind, where a character starts their quest by only seeing the immediate surroundings on the screen and everything else is blackened out. This is how I felt. I started training as a delivery driver and I did not even drive on the wrong side of the road that many times. My first solo route took me to London and I was positively scared. Did I enjoy the job? No, not really. It is difficult to explain, but the role was both stressful and extremely boring. I was looking at people in the company who were doing something else, anything else, but I did not even dream of changing roles as I was a foreigner with a strong accent. However, when after 3 months an opportunity of becoming a Team Leader appeared, I applied without hesitation. I was rather surprised when I got the job and at the same time I found out that I was valued as a member of the team. I had never seen myself as a manager and even at that point I thought that being a Team Leader was most probably the final step in my career. A teacher? Maybe. A manager? They are not cool, they dismiss people. However, 6 months later the company structures were being reorganised and I used this opportunity to be promoted again. It was not a huge promotion but that role involved coordinating shifts and sometimes I was even considered a member of the management team. I think it was at this time when I caught the proverbial bug and since then I have felt this unexplainable urge to be more and more senior. It is unexplainable as money has never been the main reason, nor was power. I think that the reason for applying for better and better jobs is a mixture of being bored with the current position and, frankly speaking, competitiveness. Anyway, after 2 years of being a coordinator I became a deputy manager, then a manager. In 2013 I started being considered a senior manager as I was successful at my application for a deputy site manager. I was 31 at that time. Because of the results I was able to achieve, one year later I got my own depot, the one in London, where I am placed to this day. So far I am the youngest depot manager this company has ever had. I am also the first foreign depot manager. I do not enjoy talking too much about my achievement but my understanding is that this essay is about motivating others, so I can honestly say that I am proud with what I have achieved (well, at least as far as my career is concerned). Others will disagree and say that working long hours and spending precious time commuting to work is not what life was meant to be about. I do understand that point of view. Some call us the lemming generation: we work hard, we sacrifice a lot for our jobs (sometimes even families) and we are in a never-ending race, we sometimes die young. For that we can buy expensive cars, we own houses instead of renting them, we are financially secure, we are confident and we travel a lot. We can spend several hours writing a story like this one and nobody is going to question this. That is the choice. It is up to you if you want to follow this path of life or not. If you do, you will need to work hard, you will need to stop thinking that the world owes you anything, you will need to stop making excuses as to why you cannot achieve success. If you come from a so-called disadvantaged background, so what? Few people I know come from a more disadvantages background than I do. When I am looking for people to work for me I look at their skills, knowledge and attitude. The most important element is the attitude. Remember about this while at work and while being interviewed for your next position. So interesting and inspiring story, Pawel! It is great you have had dreams and have followed them. Definitely building successful career as emigrant is worth admiration. I have also lived and worked in another country and I know how tough it is but I do believe skillful and talented people can achieve success anywhere!